Congratulations Kids!. . 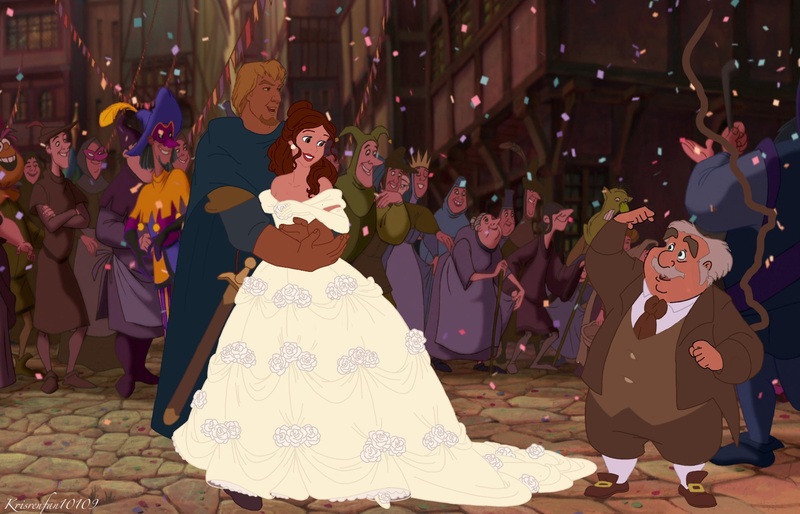 HD Wallpaper and background images in the Disney crossover club tagged: belle phoebus maurice hunchback of notre dame beauty and the beast disney. This Disney crossover photo might contain bridesmaid, msichana wa heshima, mjakazi wa heshima, hoopskirt, crinoline, and polonaise. I agree :) thank you. omg!! so beautiful!! !<3 ist this their wedding day?? Ooo, lovely. I love Maurice in this.